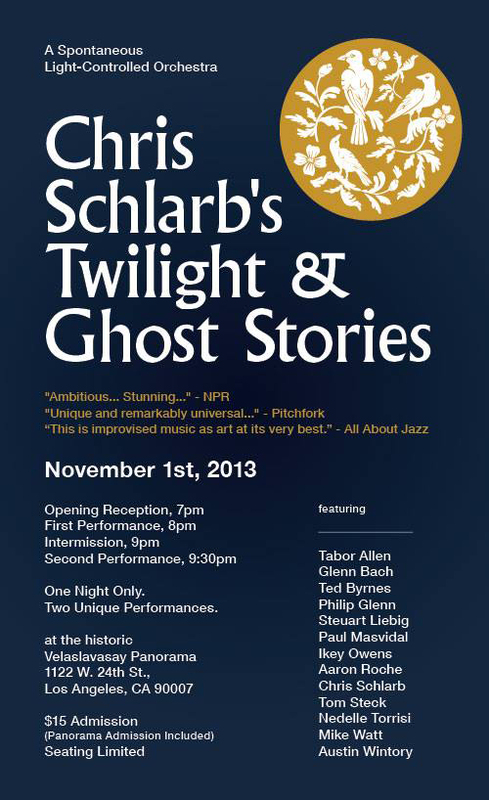 I participated in a live, improvised performance of Chris Schlarb’s Twilight & Ghost Stories, with Ted Byrnes, Philip Glenn, Paul Masvidal, Chris McCarthy, Aaron Roche, Chris Schlarb, Nedelle Torrisi, and Mike Watt, The Velaslavasay Panorama, Los Angeles, 1 November 2013. The next collaboration in the Atlas Sets project will be with guitarist, composer, producer, and recording engineer Chris Schlarb. Our inital meeting will take place 14 March 2012 in Long Beach. Additional information on recording dates will be announced here and documented on the Atlas Sets page.